In an era where everything is digital and less is more, it is easy to assume that paper and prints are a thing of the past. I mean, who really wants to have piles of endless documents everywhere? We also fear storing paper… one episode of ‘Hoarders’ has us requesting electronic copies of everything (plus we get to be Earth-friendly right?!). However, there is something that digital will never accomplish – and that is to satisfy the fundamental sense of touch. As humans we process touch in two different ways: physically and emotionally. The physical process occurs when you feel the paper, the texture and weight. The emotional process then informs you about how you feel. Here’s a great example: I always get goosebumps when I turn the pages of an older library book. The paper always has an uncoated ‘nostalgic’ feel. When I quickly flip the pages I am reminded of my middle school/awkward days of staying up late to read my coming-of-age Judy Bloome books. Those memories are forever engraved in my mind. And because of this, I bought my daughter the same books, hoping she too will have lasting impressions. The power of touch is immeasurable. 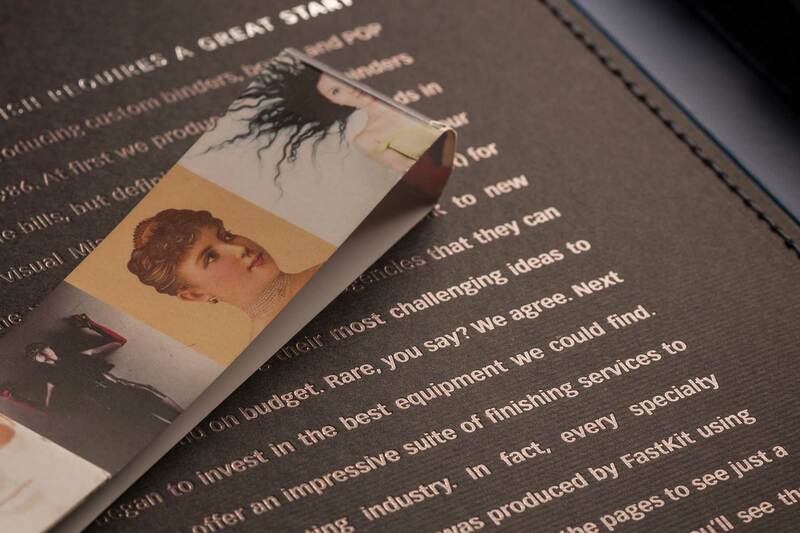 When we touch a brochure or outer packaging we come into physical contact with a brand by choice. We, in essence, choose to connect with the brand physically and then emotionally. Great designers and brands understand and use the fundamental sense of touch to their advantage. Beautiful textures, shimmering pearlescents, special coatings and tactile prints are only few complimentary elements that take a design from being pretty to groundbreaking. Maybe, without even knowing it, you’ve experienced this. Think about the last great thing you bought. Did the outer box call out to you? Was there a beautiful embossed tactile hangtag with an artisanal finish that you desperately needed to touch? How did it make you feel when you ran your hand over a brochure or your favorite magazine? There is usually a purposeful feeling of wonder and astonishment. Your physical connection with a brand helps cement an emotional reaction that will have you longing for more.